Our staff is comprised of dedicated and licensed professionals with the experience to answer all your questions regarding our services. Please feel free to contact any of our staff members at any time. Mike is a University of Minnesota – Mortuary Science Program graduate and licensed funeral director serving the lakes area for more than 30 years. Following in the footsteps of his father David Lee, Mike has helped out with funerals throughout his life. Mike and his siblings lived their early years with David and Patty Lee in the apartment above the funeral home. His empathy, can-do attitude, and casual style bring comfort to families in grief. He grew up in the Plymouth-Wayzata area and has been active in numerous community and sporting events. 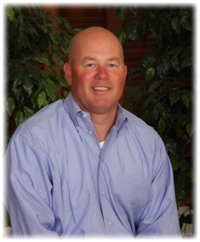 Mike is a long-time member of the Rotary Club of Wayzata including past presidency, and has been actively involved with the Greater Wayzata Area Chamber of Commerce on the board of directors and serving on numerous committees and events. Mike was elected Wayzata Person of the Year in 2017 for his outstanding, and selfless, service to his community. Hunting, golfing, fishing and hockey rank among Mike’s favorite sports; as spectator, participant and coach. His son Michael occasionally joins Mike and other “old timers” on the ice as they play 52 weeks a year. Mike, his wife Sue, and their two daughters and son are active members in their church at Wayzata Community. 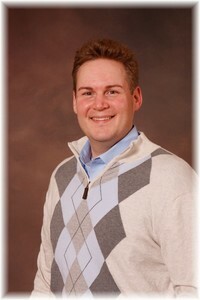 Mark is a licensed funeral director and graduate of the University of Minnesota Mortuary Science Program. His patient and engaging style helps families to feel relaxed and comfortable as they make arrangements. Over the past 20 years as funeral director, Mark has become known for his ability to educate families on the many choices available to them and his attention to details as he implements those desires. Mark also holds an insurance license and a certification as a Preplanning Consultant to assist families in need of information and education on planning/funding funerals before a death occurs. Mark likes to golf (or attempt to play golf), cook Italian foods in the tradition of his family roots. He also enjoys cycling, playing guitar, gardening and landscaping, and dabbling with photography. Mark also spends his time as a video producer of quality OSHA Safety Training videos and creative videos for memorial tributes. Jason serves as the David Lee Funeral Home Office Manager and Funeral Directors Assistant. His administrative proficiency and creative talents used to produce memorial folders are second to none. His knowledge of funeral services provides a well-informed atmosphere and his charming warmth sets people at ease. In his free time, Jason enjoys volunteering for local organizations. One of his favorite passions is gardening (his handiwork can be seen outside the funeral home). His other interests are bicycling, rollerblading, downhill skiing, traveling, singing, dining out and going to the theatre.